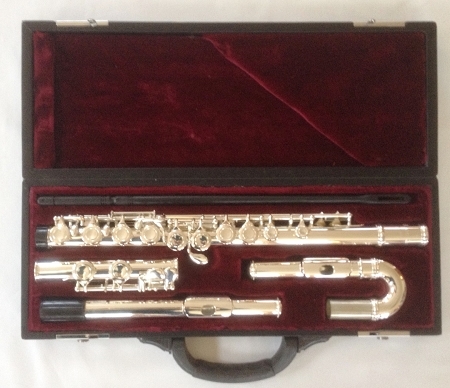 The new Blocki Student Flute is an excellent student flute with off-set G key, C foot, plateau keys and both the curved and straight head joint in one case. Highlights include a great head joint embouchure hole cut for easy blowing and excellent response, and a scale with a C sharp that is much better than the typical beginning and step-up flute. In the video below, three of the students are playing the Blocki Beginning flute with curved head joint and one is using the Mini-Di flute. I ordered this flute for my daughter because I wanted both headjoints for her and have been so pleased! The Blocki flute has a beautiful sound - so responsive with such a full tone throughout each register. The additional feature of a split E makes this incredible quality for the price. I am beyond thrilled with it. In addition, Kathi Blocki has been so helpful when I have reached out to her with a question. Highly recommend! I LOVE the Blocki Beginner Flute! I am now recommending this flute to all of my young beginner flute students. It plays way better than any beginner flute I have ever tried and it comes at an amazing price. This flute has a great sound, is easy to blow and has great craftsmanship. I highly recommend this instrument! We are using these flutes in a group class for beginner 3 and 4th graders. We have only used them for about one month so far, but they seem to be working well, and the sound is good. We will see how they hold up to the test of time, but so far so good. 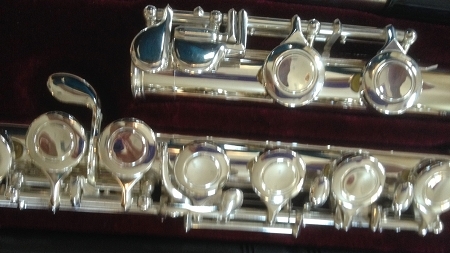 This is also a wonderful flute for teachers to purchase and rent to their students. When students rent instruments from a music store, parents often end up paying close to $900.00 for a beginning flute that does not play as well as the Blocki Flute. Recently a student finished paying off her flute and was offered the opportunity to put that money towards a step-up flute. Unfortunately, they offered the step-up flute at MSR price which was $800.00 more than what they would have paid for it if they had just purchased the step-up flute without applying the rental money! !